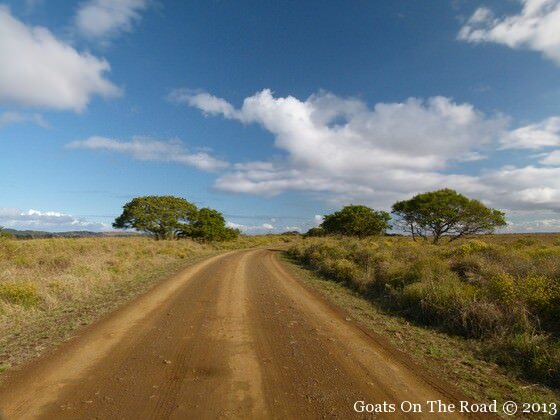 Goats on the Road Posts » Featured Articles » South African Safari: National Parks You Can Afford! When people think of seeing the Big 5 in Africa, they typically picture the Masai Mara, Kenya, the Serengeti in Tanzania or Kruger National Park in South Africa. 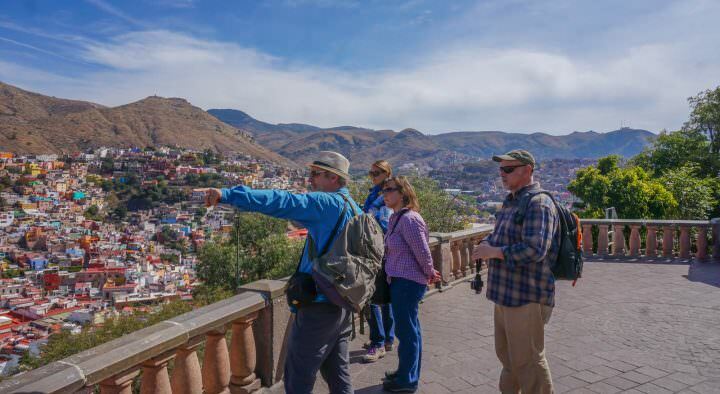 These parks are all fantastic, but they can be quite crowded and not to mention, pricey! 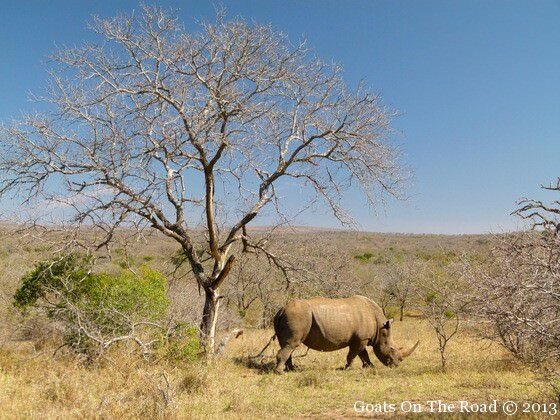 South Africa boasts some of the best national parks for viewing wildlife, yet most people only go to Kruger NP. There are other places to see beautiful wildlife with less crowds, where you can do self-drive safaris and on a budget! Going on a self-drive safari is so exciting. You’re able to have more intimate encounters with the animals and can go at your own pace. Yelling out “STOP!” when you spot something moving in the brush and slamming on the brakes really gets the heart pumping. It’s an adrenaline rush like no other. This park is closest to our hearts. It’s where we spotted our very first big African wildlife! The dirt roads here are well-marked and the brush isn’t too high, which makes for easier wildlife spotting. This park is home to leopards, buffalo, jackals, black and white rhinos, lions, antelope, zebra…and of course, elephants! 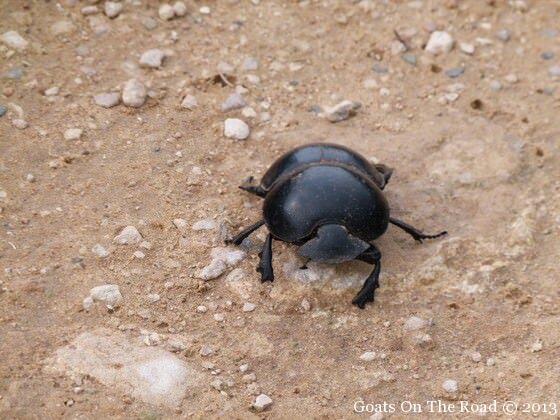 It’s also home to the flightless dung beetle, found almost exclusively here. The best part of going on safari here? You can do a self-drive! We drove our little Chevy Spark car all over that park and saw 8 out of the 9 lions that live there, elephants, buffalo, the rare caracal cat, jackals and more! Just pick up one of the easy to follow maps at the entrance and you’re on your way. Pack a lunch and stop at the outdoor designated (and gated off!) picnic area. We suggest getting there when the park opens and leaving when it closes. 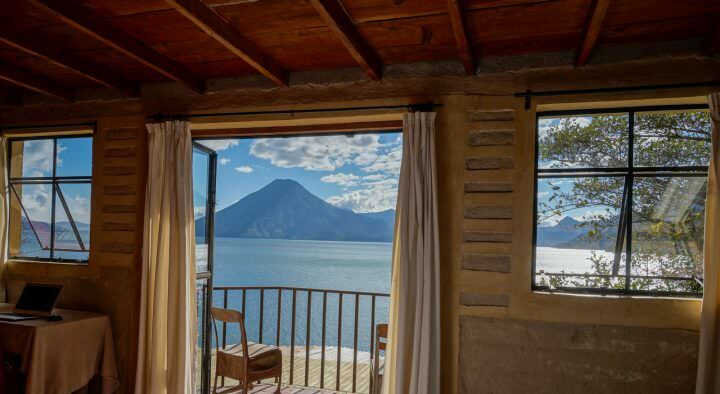 Trust us, you’ll want a full day here! 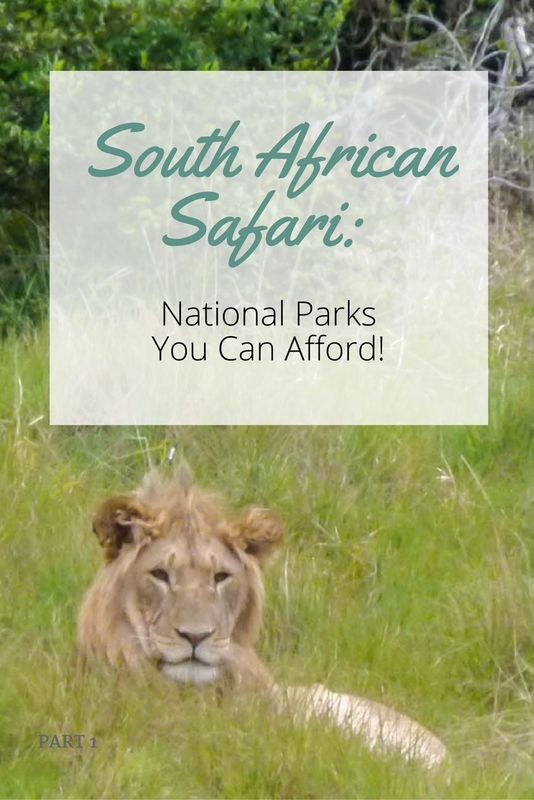 The cost of this South African safari is 160ZAR ($17.21) for adults and 80ZAR ($8.69) for children under 12. A pretty good deal if you ask me! This massive wetland park protects 280kms of coastline and 5 main ecosystems: offshore reefs & beaches, wetlands, woodlands, coastal forests and lakes. It’s such a unique place! 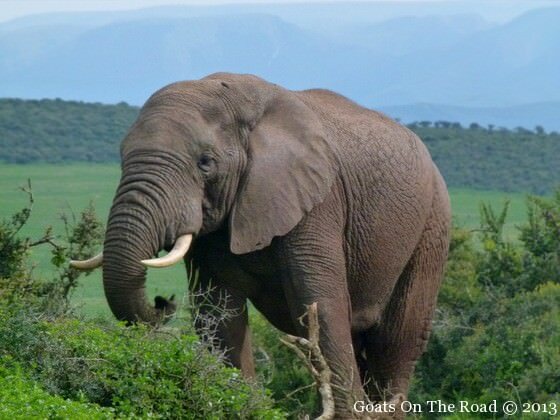 As with Addo National Park, this is a great place to do a self-drive safari. The “roads” are great for driving on, the scenery spectacular and there are many places you can even get out of your car (if you’re feeling brave enough) and have a look out at some view points. Walking to a view point at St. Lucia Estuary, watch out for predators! 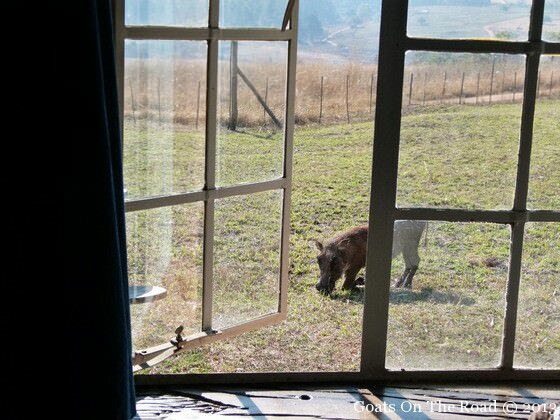 The best part of this South African safari is the entrance is free! 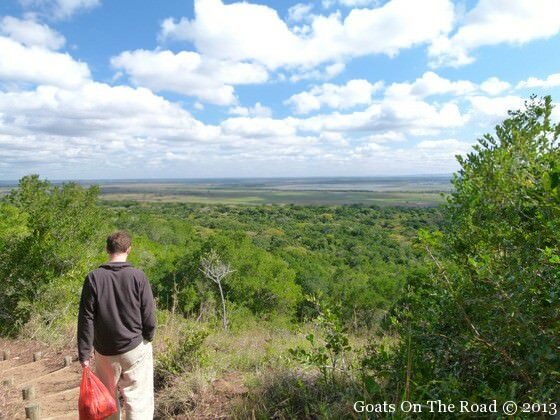 This park is near St. Lucia, close to the border with Mozambique. As with the other parks, there’s a great chance of spotting some of the big wildlife here, especially white rhino! This park has the most white rhino in the world. Again, we were able to do a self-drive safari here, and again, it sure didn’t disappoint! There are some “hides” here where you can get very close to the wildlife around a watering hole, but they don’t know you’re there because you’re “hidden” in a camouflaged shelter. A great way to see the animals up close. 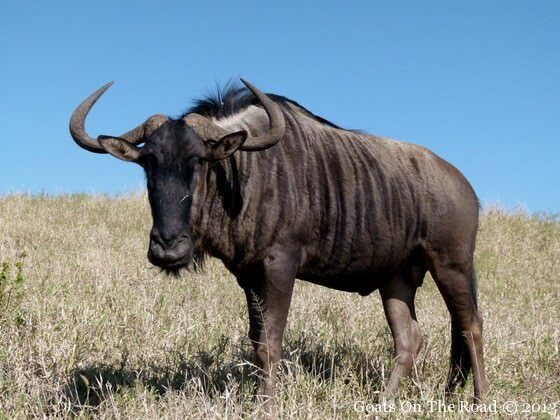 This is the place to go to see blue wildebeest, giraffes, elephants, lions, buffalo and lots of antelope. We had some great encounters with giraffes here as well as the wildebeest. The entrance fee to Imfolozi National Park is 110ZAR ($11.83) for adults and 55ZAR ($5.90) for children under 12. 4. Milwane Wildlife Sanctuary, Swaziland. Ok, so we realize this doesn’t count as doing a safari in South Africa since it’s located in the tiny country of Swaziland. 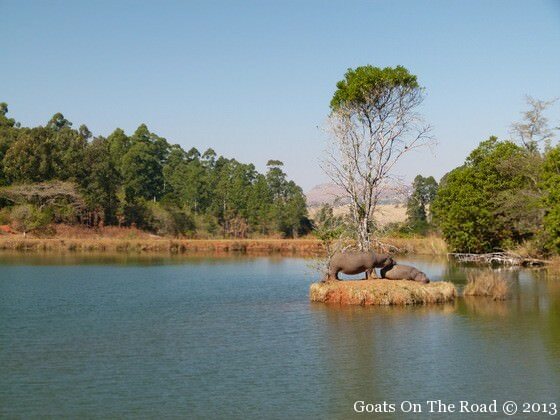 However, if you’re in South Africa, you’ll most likely make a detour here. Swaziland is bordered by South Africa and Mozambique and is somewhere you should definitely go! The Milwane Wildlife Sanctuary is spectacular. What makes it so great is the fact that you can hike all around the park and not worry (too much) about any predators. 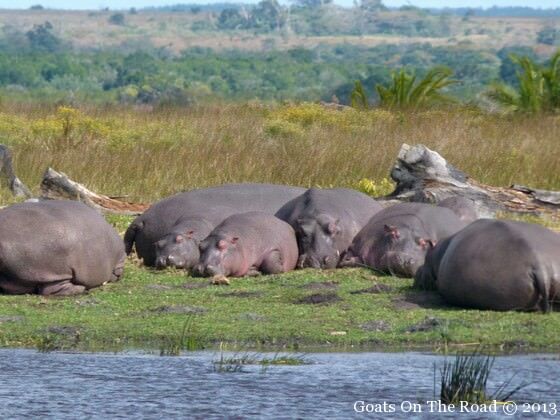 Hippo Island. They weren’t too close to us so we felt safe! 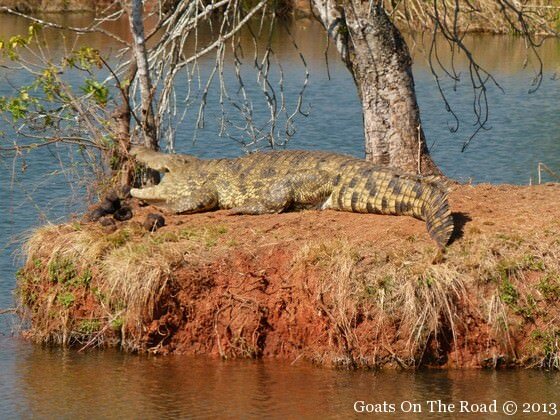 The only dangerous animals here are crocs and hippos and since they tend to stick to the water, you can hike around the plains and hills without any issues – watch out for snakes though. Another perk of this great sanctuary is staying right on the grounds! We stayed in a beautiful roundavel hut and went to bed, and woke up with, antelope, ostrich and warthogs on our front yard! An unforgettable experience. Besides having intimate encounters with the wildlife, a great perk of coming here is that the entrance fee is 40SZL ($4.31). Unbelievable. We highly recommend these fantastic, budget friendly, lesser-known National Parks for your South African safari. We were able to spot everything we wanted to see and more…everything except for the elusive leopard, the rare black rhino and cheetahs, those would have to wait until we were in the Masai Mara in Kenya! All you need is a map, some food, a vehicle and a sense of adventure. Grab your binoculars and get out there! Have you been on a safari in South Africa? What was your experience like? Tell us about it below! Wow, I can’t believe how similar our journey was! That’s great. 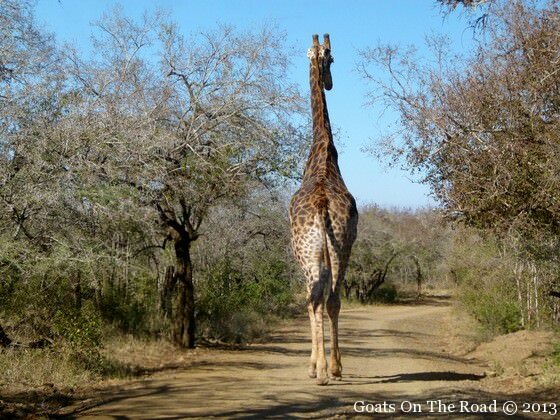 Doing a road trip in South Africa is one of our top travel experiences of all time. The safaris were great, scenery was stunning and trying to navigate around in our little Chevy Spark was so much fun! We’re finished our teaching contract on July 12th…then we’re off to trek, camp and explore Mongolia, Russia, Central Asia and Iran for 5 months, then going back to Canada for Christmas…..and then who knows where?! Excellent article ! 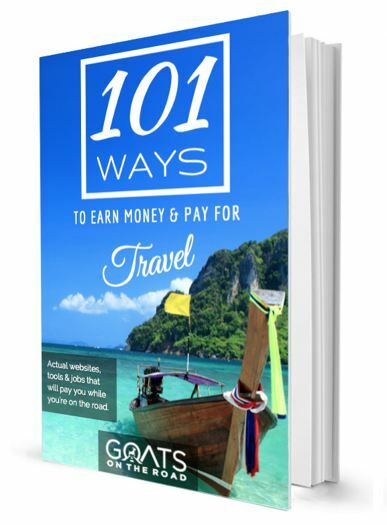 We are two Frecnh girls, and will be travelling in South Africa in a few months… thanks for these tips! Great! You will have an excellent time. It’s such an amazing country – make sure to a safari! Hi do you think I could do a self drive Safari on my own? 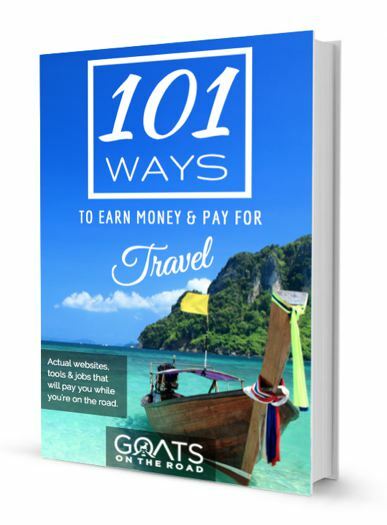 I am highly capable and traveling solo… What do you all think? Love this article. 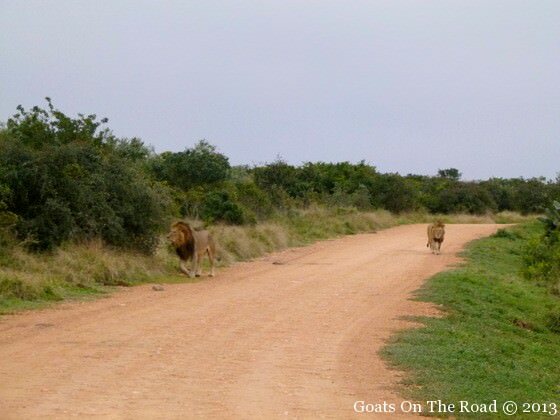 We also did a safari in Addo & a 15 day road trip from Port Elizabeth to Cape town. One of the best drive we have ever been to. We also spent a day in Tsitsikamma National park. I was lucky enough to visit Masai Mara during shoulder season and all of these parks are just great. Each game drive is special in itself. I am planning to put up a blog soon to capture my experiences.